Syllabus of the Online Course (Subject): West African Economic and Monetary Union (WAEMU/UEMOA). 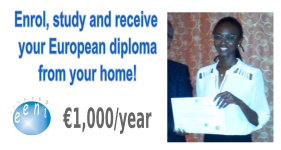 Description of the Course / Subject (WAEMU - West African Economic and Monetary Union). 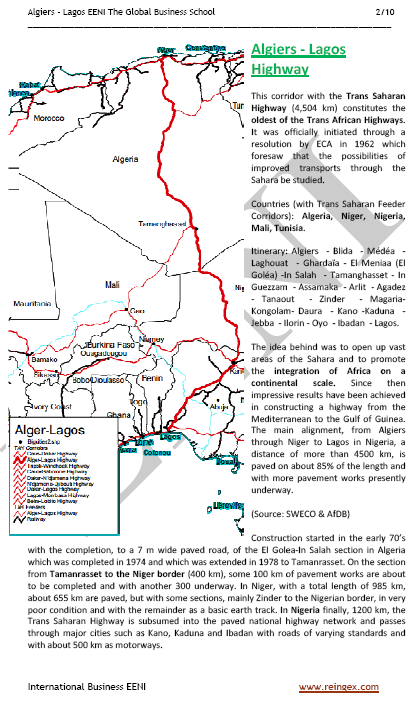 In 1994 was created the West African Economic and Monetary Union (WAEMU) by seven West African Countries using the CFA Franc (common currency): Benin, Burkina Faso, Ivory Coast, Mali, Niger, Senegal, and Togo. 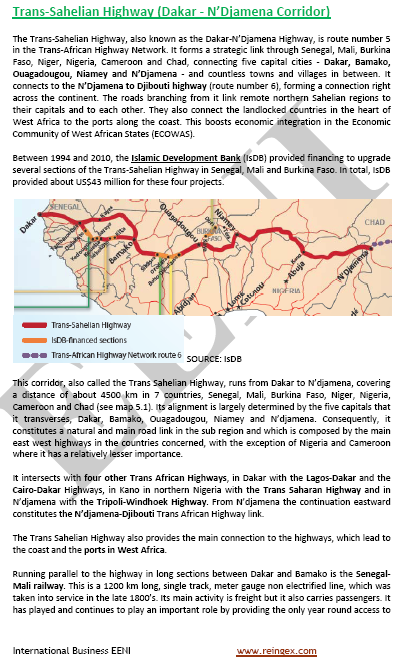 Guinea-Bissau became a member of the West African Economic and Monetary Union (WAEMU) in 1.997. All these countries used a common currency, the CFA Franc. The main objectives of the West African Economic and Monetary Union are to intensify the economic and financial activities competitiveness of the West African Economic and Monetary Union economies developing an open and competitive market and a harmonised legal environment. The West African Economic and Monetary Union has implemented a common market based on free movement of persons, goods, services, capital, and the right of establishment. 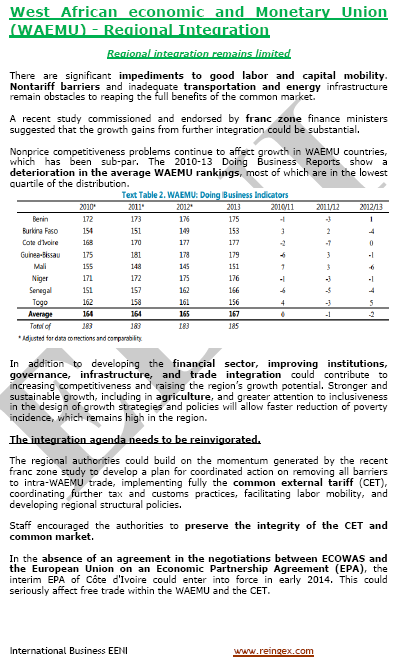 The West African Economic and Monetary Union (WAEMU) has achieved several objectives (harmonisation of laws, common policy, free movement, competition rules), but some obstacles and even delay are slowing the integration process. 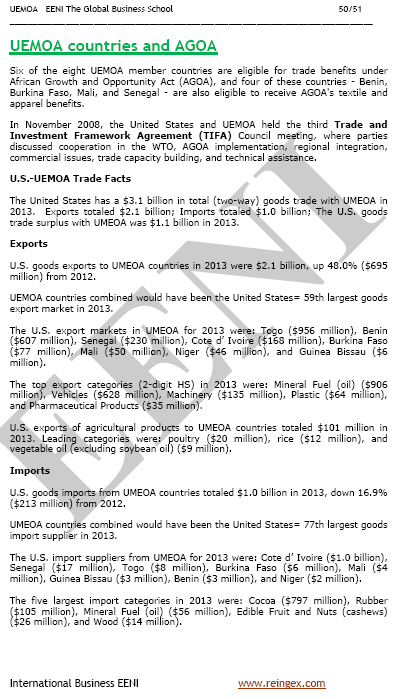 A portion of the common external tariff (CET) - entered into force in 2000- the West African Economic and Monetary Union (WAEMU) is used to finance the institution. The West African Economic and Monetary Union Inter-Parliamentary Committee adopted a draft treaty on the creation of a regional parliament. 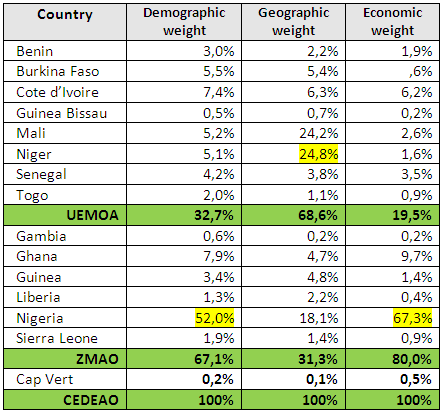 West African Economic and Monetary Union (WAEMU). 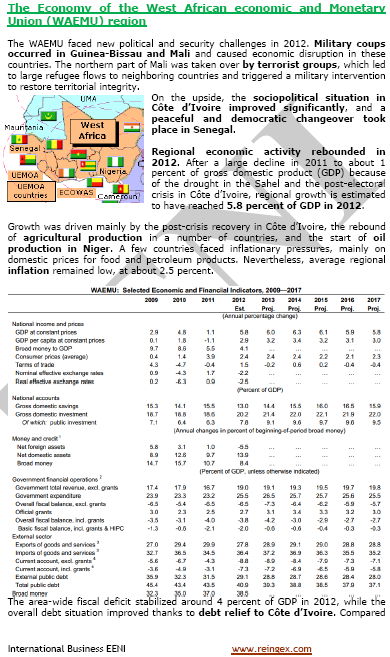 The economies of the Member States of the Economic and Monetary Union of the Africa West (WAEMU) suffered from an unfavourable global environment, characterised by high food products prices derived from petroleum, as well as the global crisis. The Central Bank of West African States (BCEAO) is the financial institution of the eight Member States of the West African Monetary Union. The Central Bank of the West African States is an international public institution based in Dakar. 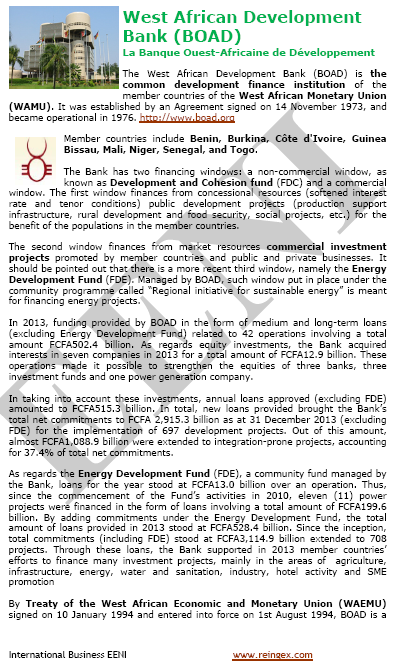 The West African Development Bank (BOAD) is a common institution created to finance the economy development in West African Monetary and Economic Union. It was created on November 1973. 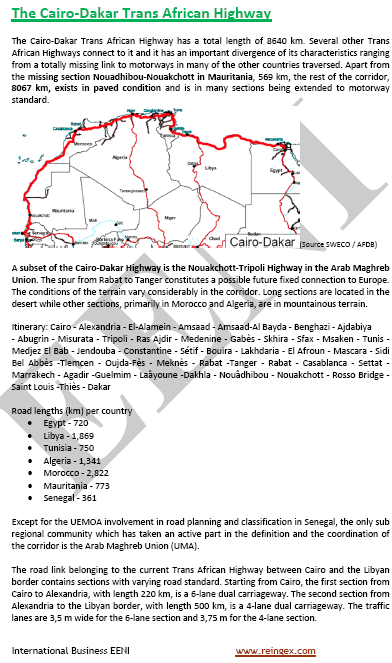 Its Member States are Benin, Burkina Faso, Ivory Coast, Guinea-Bissau, Mali, Niger, Senegal, and Togo. 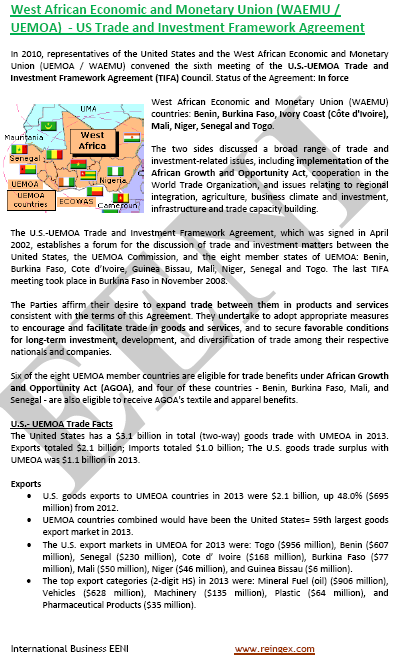 The Economic and Monetary Union of the Africa West (WAEMU) belongs to West African Economic Area (African Civilisation). See also: West African Monetary Zone (WAMZ). 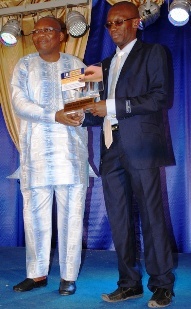 Ouandaogo Abdoul Karim (Student of the Master of Science in International Business, University of Ouagadougou & EENI) winner of a WAEMU regional award.